This is such a great and fitting quote by Lebron James as he just etched his name in further NBA history. Lebron James just capped off a remarkable and improbable championship run by winning Game 7 on the road against the Golden State Warriors. His team also became the only team in NBA history to come back a 3 games to 1 deficit, a feet that 38 other teams failed to do so. As great as all these stats are, his greatest achievement is following through on his promise of winning a championship for his first team, the Cleveland Cavaliers, all while being the first player ever to lead both finals teams in points, rebounds, assists, steals, and blocks. But what these great stats and acheivements don't tell, is the amount of work that Lebron James put into the game of basketball. This makes his quote about the definition of greatness all the more amazing. 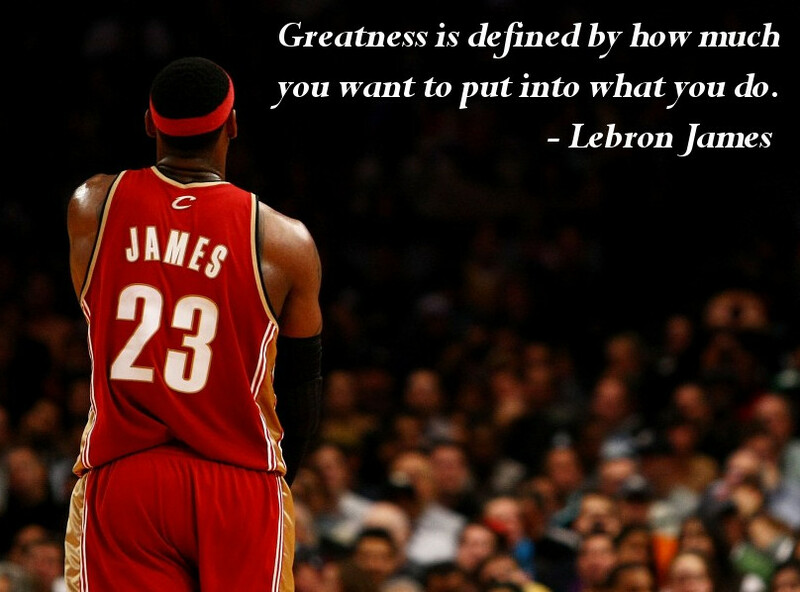 We could all learn from his mindset that greatness is subjective and only depends on what we are willing to put in. The greater that achievement we hope to achieve is based on directly by how much we are willing to put in. Lebron James, unlike many professional athletes, goes behind the natural gifts and talents by putting the work to push his ability even further. So like Lebron, we should push ourselves further than what we currently are or are born with, and always strive for greatness!